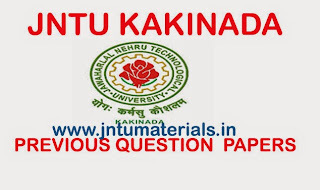 The following are the jntu kakinada M.Tech R13 2nd Semester Regular-Supply, September-2014 Previous Question Papers. All the question papers for all the streams are available here and you can download each subject by clicking on the subject name. 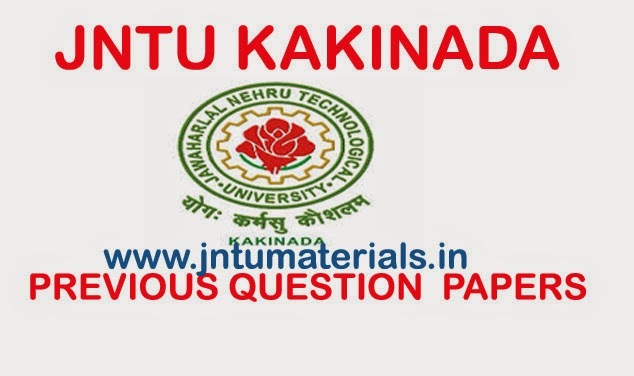 If you need any of the question papers for M.Tech R13 2nd Semester Regular-Supply, September-2014 or If any thing is is missing fee free to ask us as comments. Please send me SPECIAL MACHINES previous question papers. I need m.tech (r13) regulations 1st year 1st sem soft computing techniques previous papers. i want system on chip design(m.tech 1st year 2nd sem es branch) previous question papers urgent tomorrow exam.